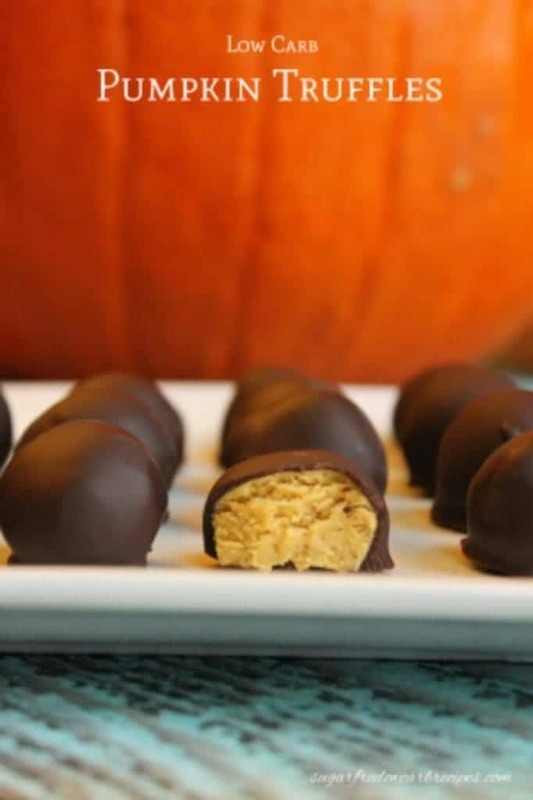 A low carb candy pumpkin truffles recipe is sure to be a hit! It’s a sugar free pumpkin ganache covered in a dark chocolate coating. Perfect for Halloween or Thanksgiving. 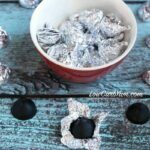 This recipe for low carb truffles is something I wanted to make for Halloween. But, I was just too busy to put them together. 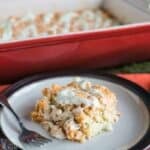 However, there’s still time to enjoy these for Thanksgiving! Between working six 12 hour days a week and watching a toddler at home, there isn’t a lot of free time. Thankfully, work is starting to slow down and I should be back to my regular 40 hour weeks soon. 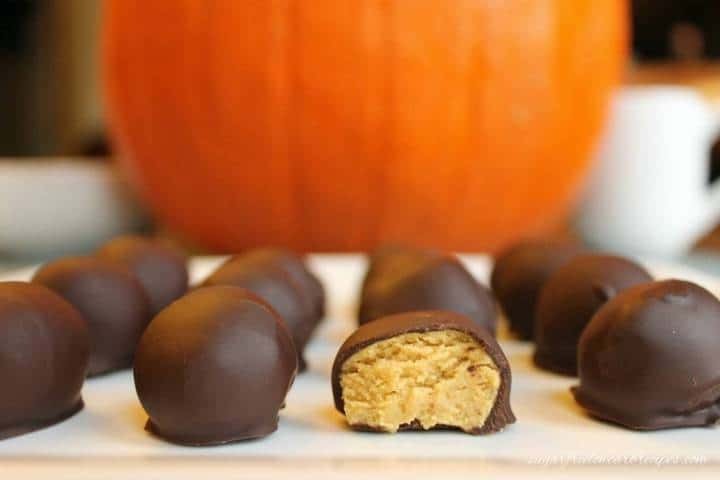 The coating used in this low carb candy pumpkin truffles recipe is based on a low carb chocolate I created a few years ago. It uses food grade cocoa butter and Ghirardelli unsweetened baking chocolate. Bak then, I always used a mix of stevia extract powder and powdered erythritol for the sweetener. That was the sweetening blend I used before Swerve Confectioners Powder was widely available. I have since switched the powdered erythritol to Swerve Confectioners Powder as it works much better than plain powdered erythritol and it tastes better. 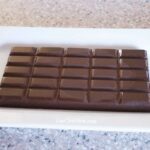 I’ve used this chocolate recipe to make my own low carb chocolate bars and low carb candy. It does take a bit of work, but making the chocolate at home is cheaper than buying chocolate sweetened with stevia and erythritol. Hopefully, as stevia becomes more popular, the price of all-natural sugar free chocolate candy will come down. 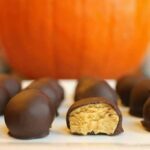 Although I used Swerve in this low carb candy pumpkin truffles recipe, you can really use any sweetener that you prefer. It’s really a matter of preference. You can even use the concentrated stevia and or monk fruit extract sweetener. 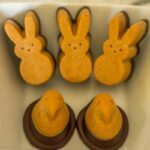 The recipe for these all natural sugar free pumpkin truffle chocolate candies starts with a pumpkin ganache. To get the right consistency for the ganache, I added some food grade cocoa butter and natural whey protein powder. 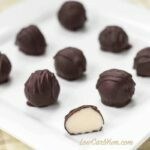 The texture is similar to the peanut butter mix used in my low carb peanut butter squares recipe which can also be shaped into balls and coated with chocolate to make peanut butter balls. Although I love pumpkin, I wasn’t sure how a pumpkin truffle would taste. These are actually quite tasty and I was pleased at how they turned out. 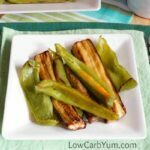 Be sure to check out the low carb pumpkin recipes I collected for a Community Table post for more ways to use this yummy fall flavor! Pumpkin truffles. This low carb candy is a sugar free pumpkin ganache covered in a dark chocolate coating. Perfect for Halloween or Thanksgiving. Combine pumpkin puree, stevia, cinnamon, ginger, nutmeg, cream, cocoa butter and Swerve in a medium sauce pan over medium heat. Once the cocoa butter begins to melt, stir until well combined. Remove from heat and stir in vanilla extract and protein powder. Place mixture in a bowl and cover the surface with a plastic wrap to prevent a 'skin' from forming. Chill in refrigerator for at least 1-2 hours. 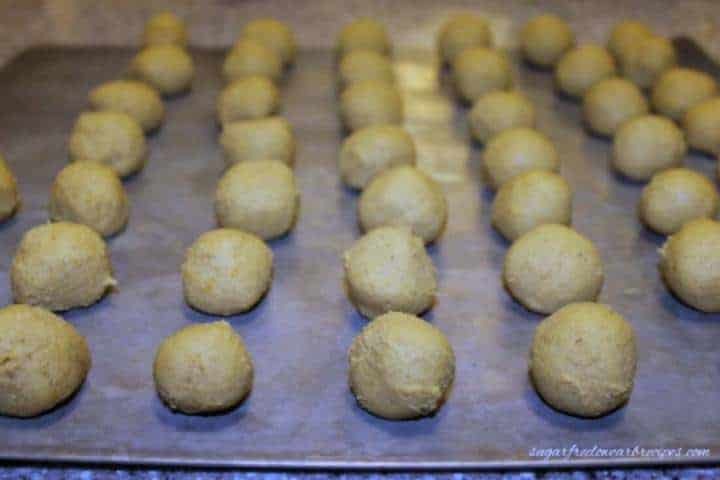 Using a spoon or small cookie scoop, form pumpkin mixture into even sized balls. These can be shaped into squares, made into egg shapes (for Easter), or any other shape desired. Place shaped filling in freezer while making chocolate coating. 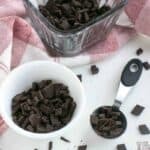 In a chocolate melter or double boiler, melt all chocolate coating ingredients together. Remove the shaped filling from the freezer. Place each on a fork and into melted chocolate until well coated. Wipe excess chocolate off bottom of fork on side of melter and then set on non-stick sheet to harden. Repeat until each is covered in chocolate. Place finished sheets of candy in refrigerator. Let sit at least an hour then remove and place in covered container. Store in refrigerator. 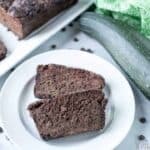 I would really like to try this recipe but I’m having a hard time finding cocoa butter… Is normal butter an ok substitute? 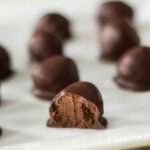 I’m dying to make these chocolate truffles they sound amazing! Is the swerve sweet enough that I could leave out the stevia? It’s a personal preference so it’s hard to say. Is this correct. 35.6g of fat per piece ? I’m pretty sure that is incorrect. It’s probably a mistake when the recipe was converted. When I have more time, I will recalculate. 5.5 carbs for one? Not to mention all the artificial sweetener! No thank you. 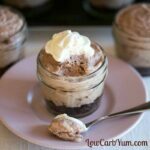 Low Carb Yum is becoming Low Carb Yuck. Thanks for catching that mistake. Erythritol, a natural based sweetener, was included in the carb count even though it has no impact. Each truffle has about 1.0g carb of which 0.7g is fiber. Also, there are no artificial sweeteners used in the recipe. Stevia and Swerve are both made with natural ingredients. Ooh. That’s my absolute favorite fudge recipe! Thanks! Could you substitute coconut oil for cocoa butter? It’s worth a try as I’ve seen coconut oil used in candies. It may affect the flavor and add too much oil though. Cocoa butter isn’t as oily as coconut oil and has kind of a chocolate type aroma and texture. Yes! I only added the whey protein because the pumpkin ganache was really soft and would have been difficult to form into balls or other shapes. I used the protein powder because I had some on hand. I’m sure any kind of powder would work, even powdered whole milk or a non-dairy version. The sweetener may need to be adjusted more or less depending on the powder used. I was wondering if Splenda can be used instead of Stevia and Swerve? Splenda would work in the pumpkin filling, but I wouldn’t recommend using it in the chocolate. Splenda gives chocolate a funny taste. Instead, I would use a low sugar dark chocolate bar that is 70% or higher cocoa and melt it to coat the pumpkin ganache.